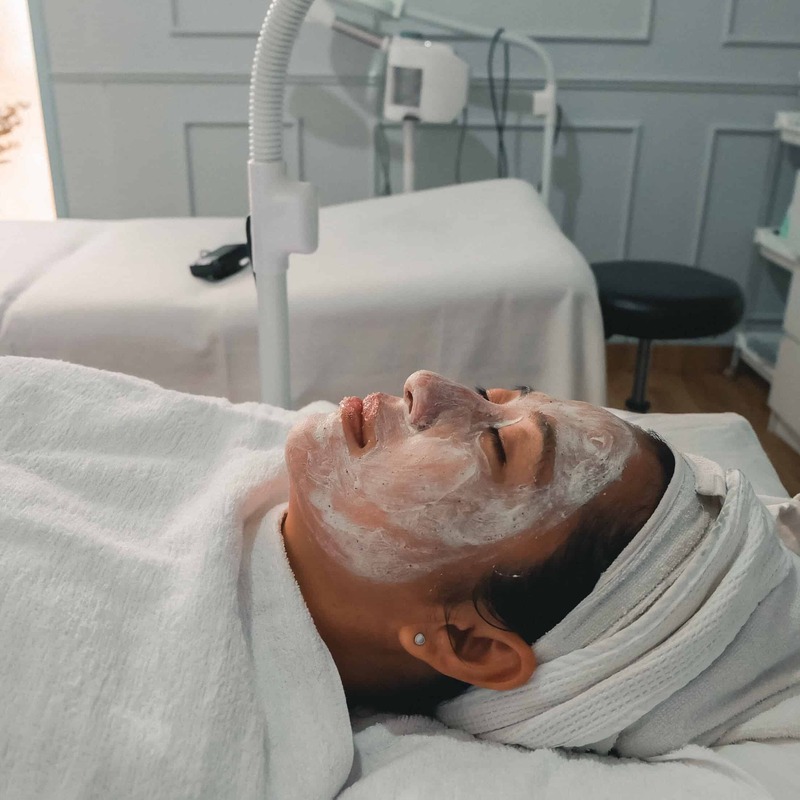 As a traveler, it has been a routine for me to spend a whole day of pampering time after going back home from a long trip. A day where I can just chillax and have a self-care timing to rest my body and soul. Seeing so many friends and bloggers coming to this place. 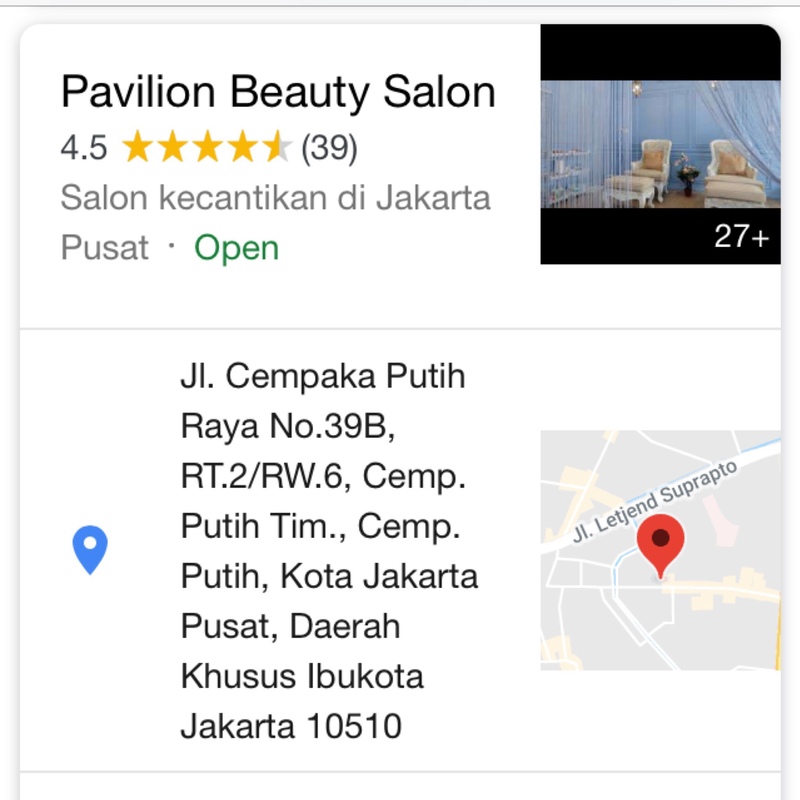 I have set my eyes on Pavilion Beauty Salon Cempaka Putih, Jakarta since last year. Although I am not a beauty blogger, as a woman, I just got to share my wonderful experience here. 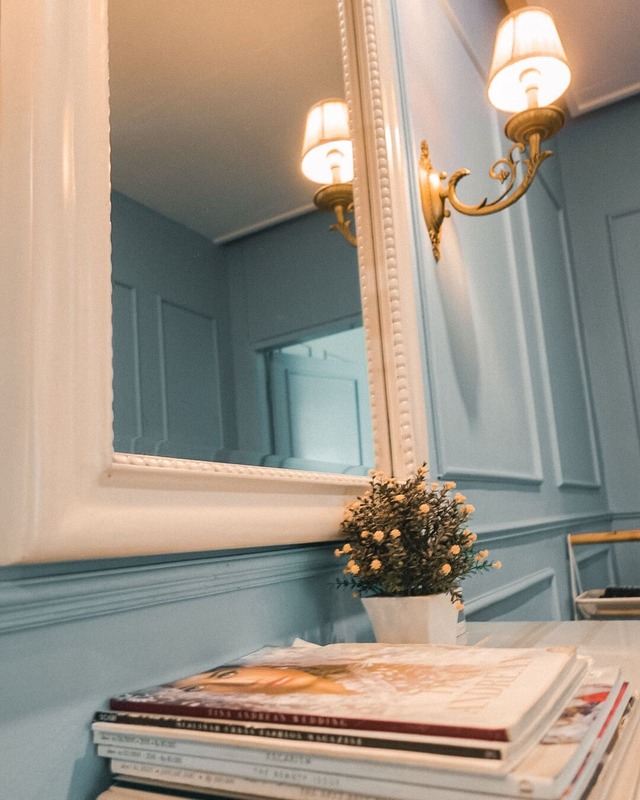 As seen on Pavilion Beauty Salon website, the place has been a beauty salon since 2015. 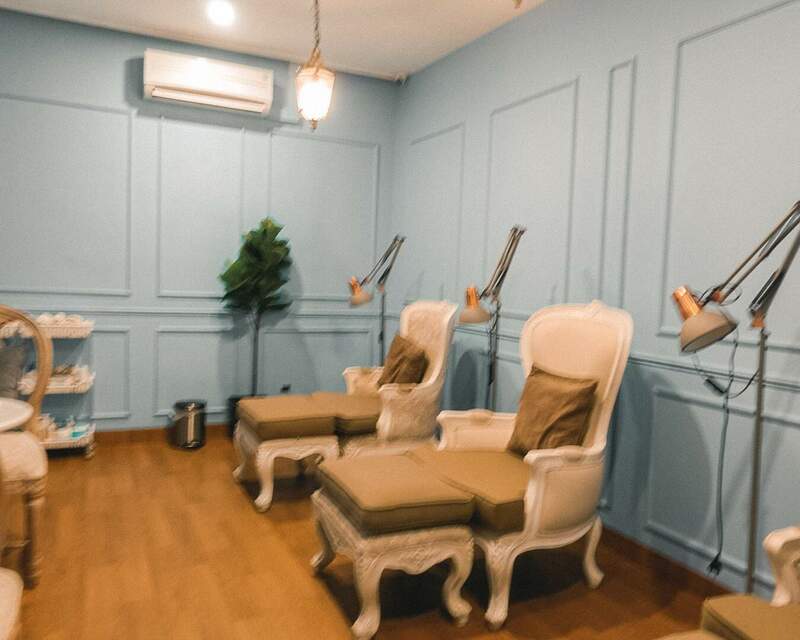 It is not just your typical ordinary salon. 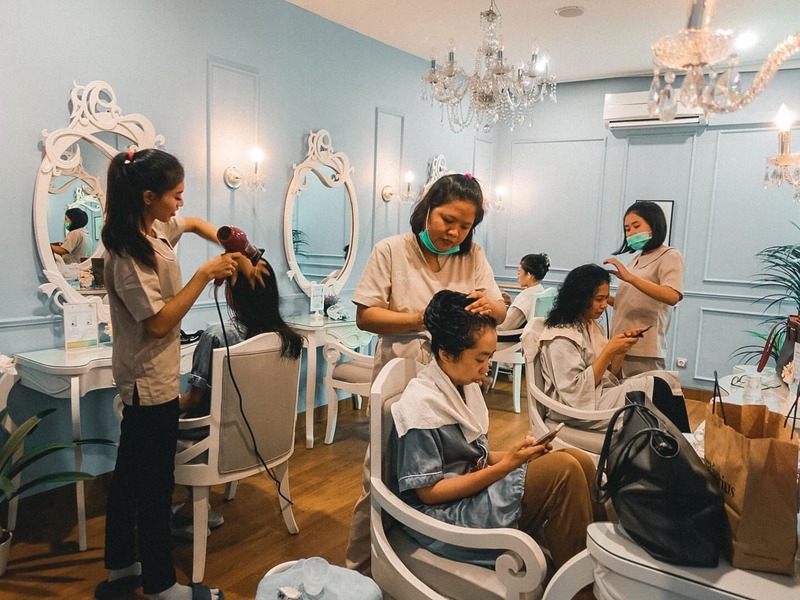 It is a beauty salon focusing on providing essential beauty services in an elegant and convenient environment that makes you feel like home. 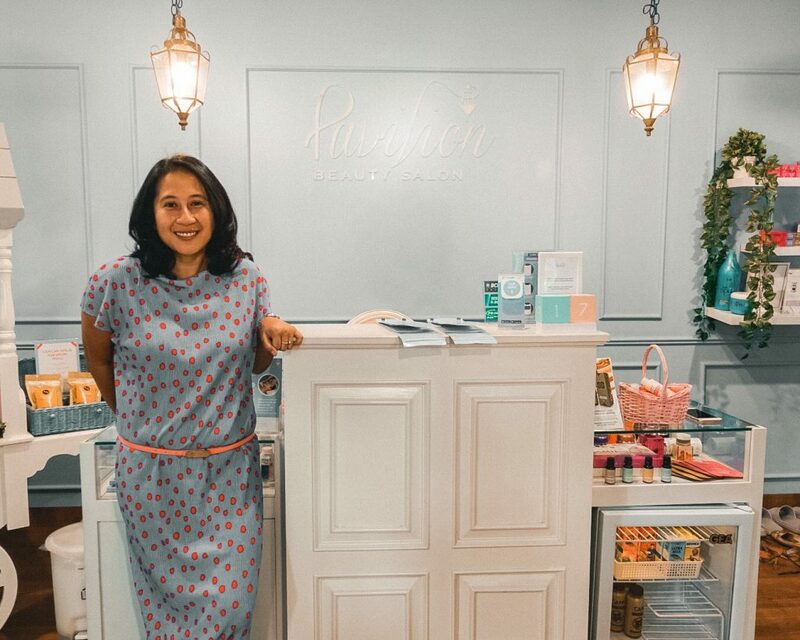 Pavilion Beauty Salon has a mission to enhance the way women take care of their beauty and wellbeing. And that’s what makes this place special. Lucky me, this time I finally had the time to come and try it myself. The access to get here is easy. 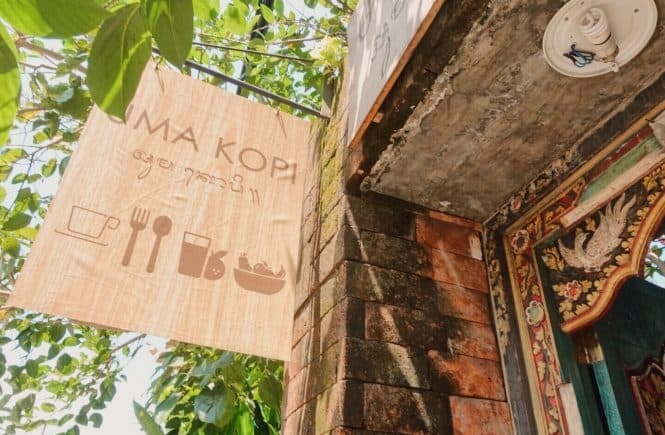 Located in Jalan Cempaka Putih Raya no.39B, East Jakarta. 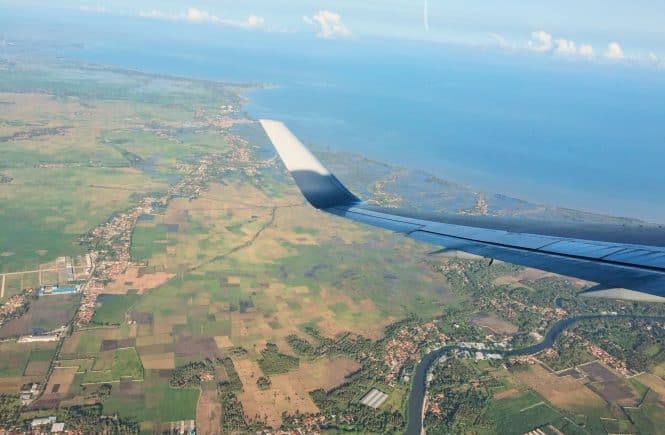 It is a 30-40 minutes ride from South Jakarta. You can go here by using a taxi or Grab. No need to worry about bringing your own car. 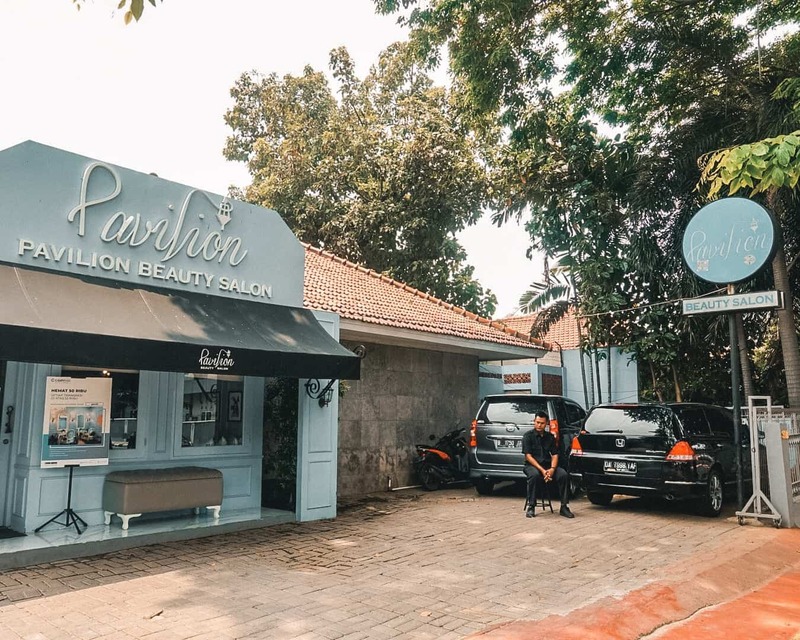 Pavilion Beauty Salon has a wide space of park area that can fit 15 cars. 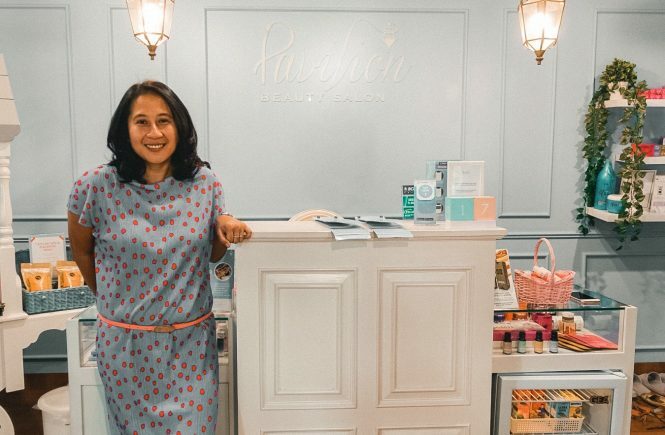 What I love best about Pavilion is their cozy Parisian interior, cold aircon, not too crowded ambiance and friendly therapist. The best part of all is only women allowed coming into the salon. No need to worry men starring at us using robes during pampering time. Entering the salon, I felt like walking inside to a colorful cute café in Champs Elysees, Paris. 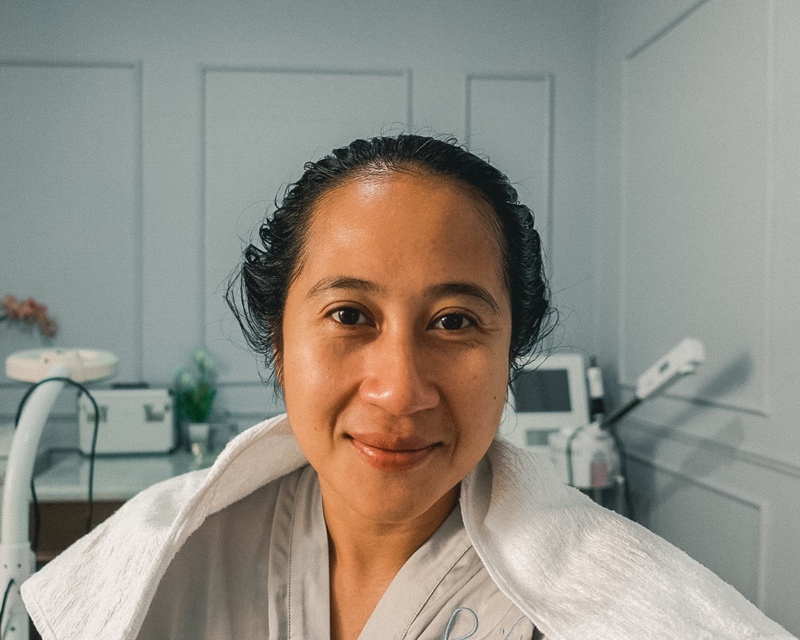 Greeted nicely by Mbak Renie as the Salon Manager. She showed me the book menu and asked what kind of treatment would I like to do for today. Looking at their variety of treatments makes me want to be a Queen for a day. Before entering the room, there is this black piano in the corner that seeks my attention. Turns out there is a piano session every Saturday noon until afternoon. Customers coming on that day will be served with piano strings during their treatment time. Oh, how sweet is that? 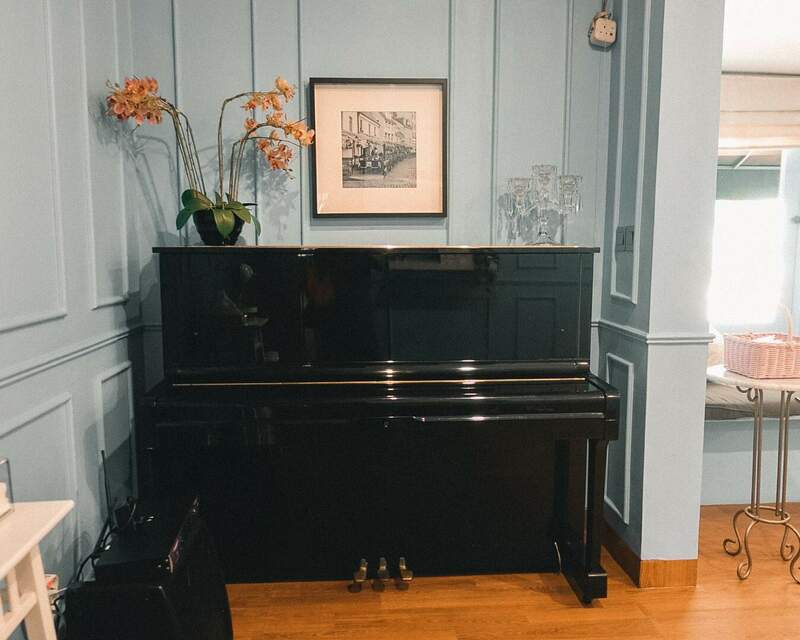 While waiting for the therapist to prepare my treatment, I walked around inside the salon to find out more of what makes this place special, besides the piano. Filled with Jasmine scent and jazzy song on every corner of the room. I have felt relaxed before my treatment has begun. 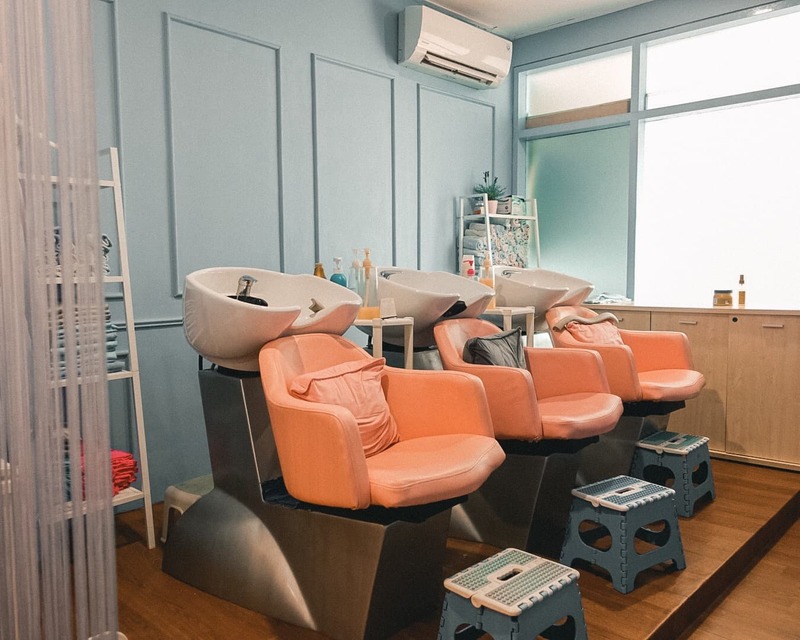 The salon is divided into 7 sections for each use. Every section is clean and tidy. Feeling very welcome is what I felt being in Pavilion. 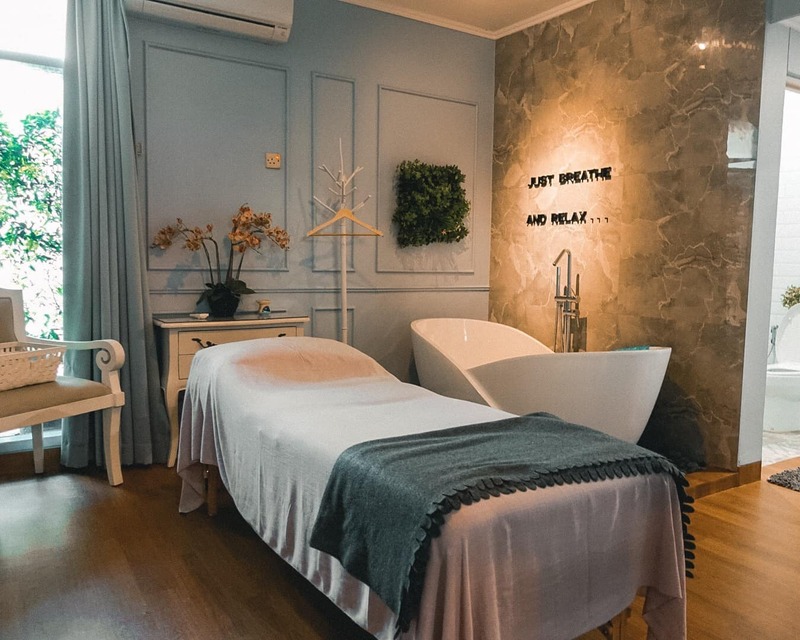 This area for traditional massage, spa, and scrub or massage kutus–kutus. There’s also a steam chair inside the room. Usually, it is used after finishing a traditional massage. This area for cutting, smoothing, perming hair, hair styling, and hair blowing. Got my Mythic Oil hair treatment done in the Mini Hall area. Look at that chandelier behind me. This is the spacious area in the salon. Besides being a mini hall with a chandelier hanging in the middle of the room. It is also used for Hair Scalp Treatment area. In this room, you can have a pamper party with your Girl Squad for a birthday celebration, Arisan or even a baby shower. Isn’t that so lovely? Washing and cleaning hair area with adorable puffy and colorful chair. Room for bikini, Brazilian, underarm, fullback, tummy wax. 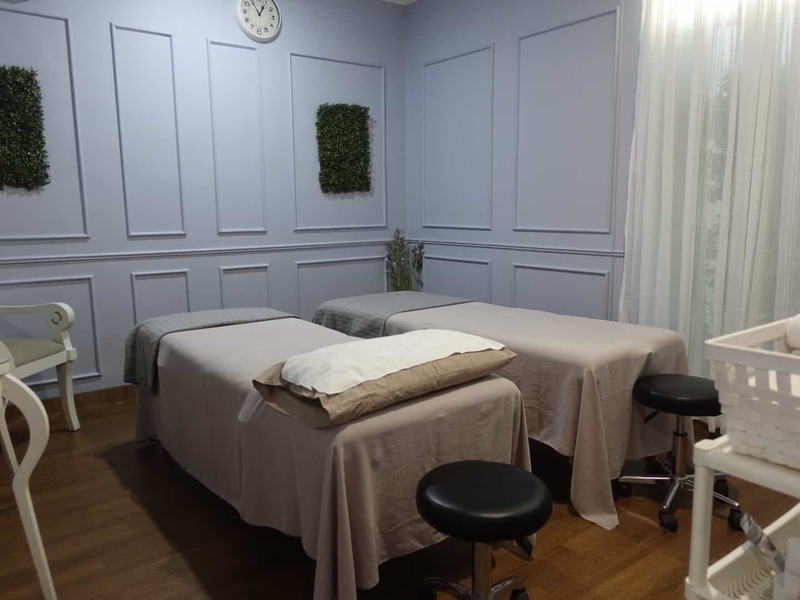 Room for facial, eye treatment, lip therapy, face radio frequency, face slimming, full skin care treatment and face oxygen. 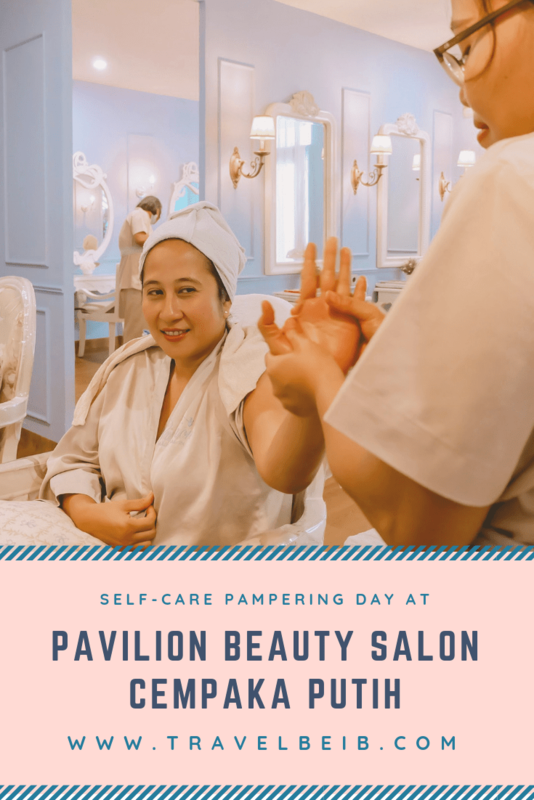 Here in Pavilion, they offer a wide range of beauty and wellness treatment to pamper you from head to toe. You can check out the Menu here. All treatments are handled with special care by a certified specialist and therapist. After a moment of confusion in choosing the perfect treatment. My decision goes to Mythic Oil for my hair and Glam Glow Mask Treatment for my face. I always have a problem with hair loss. I hope by using the Mythic Oil treatment can cure it. Since I just got back from a train ride from Semarang where the city was so dusty. I guess Glam Glow Mask is the perfect choice to make my dull face back to bright. Before starting the treatment, I have to change my clothes by using Pavilion’s robe. My first treatment starts with my hair. Before using the Mythic Oil, Mbak Cici as my personal therapist took me to the washing room to wash my hair so that my hair is clean. Treatment by pampering my hair with enriched oil. The treatment is approximately 1 hour. Mythic Oil is made from Argan Oil, rich in Vitamin E and Omega 3. Cotton Seed Oil, natural light in weight adds nourishment and extreme softness to the hair with a weightless finish. Mythic Oil focuses on returning hair to a balanced state. It is ideal for normal and dry hair. The powerful use of oil is to clarify, deeply nourish and protect hair color and hair loss. For making the root skin stronger. Apply oil on hair from the tip to the root of the head. Head massage for 10-15 minutes. So that the oil seeps in the scalp. For intense nourishment. Apply hair mask to every inch of the hair. Leave on for 10-15 minutes. 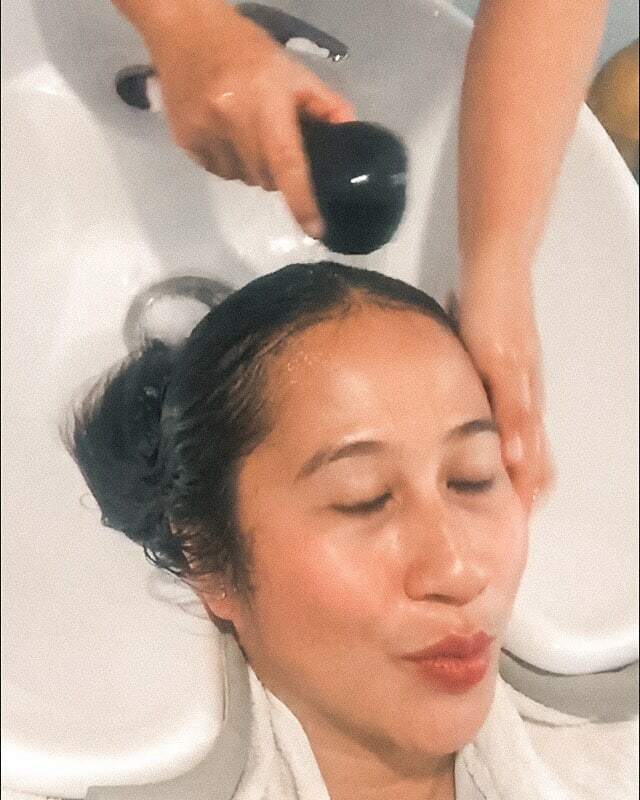 While waiting for the mask to soak on the hair and scalp, Mbak Cici gave me a luxurious massage technique at my upper body. Starting from my shoulder, back, arms and hand. It made me feel relax and felt speechless. I didn’t realize how tensed my body was before the massaged. My fingers were also tensed from a countless night of typing. Moving on to the Skin Cares Routine Room. 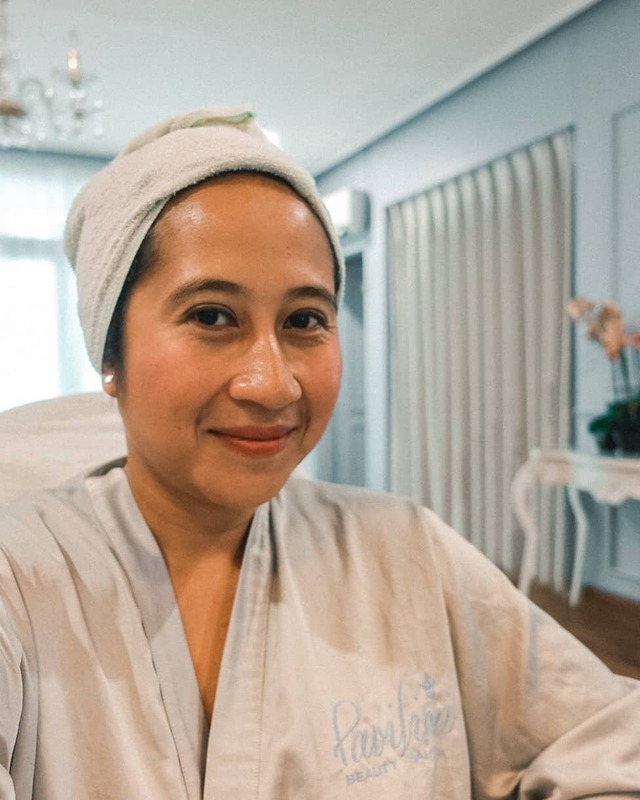 Before applying Glam Glow mask on my face, Mbak Cici gave me 15-20 minutes of face acupressure. And a bonus in the neck too. Now, this is what I called the best feeling on earth. Heaven. 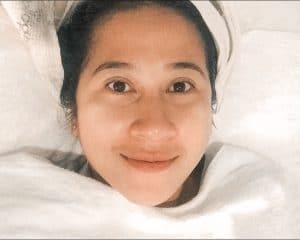 Next treatment is pampering my face using Glam Glow Youthmud Tinglexfoliate. The use of the mask is to gently exfoliate my skin and makes my skin softer, smoother and brighter in an instant. Actually, there are 4 types of mask available in the salon. 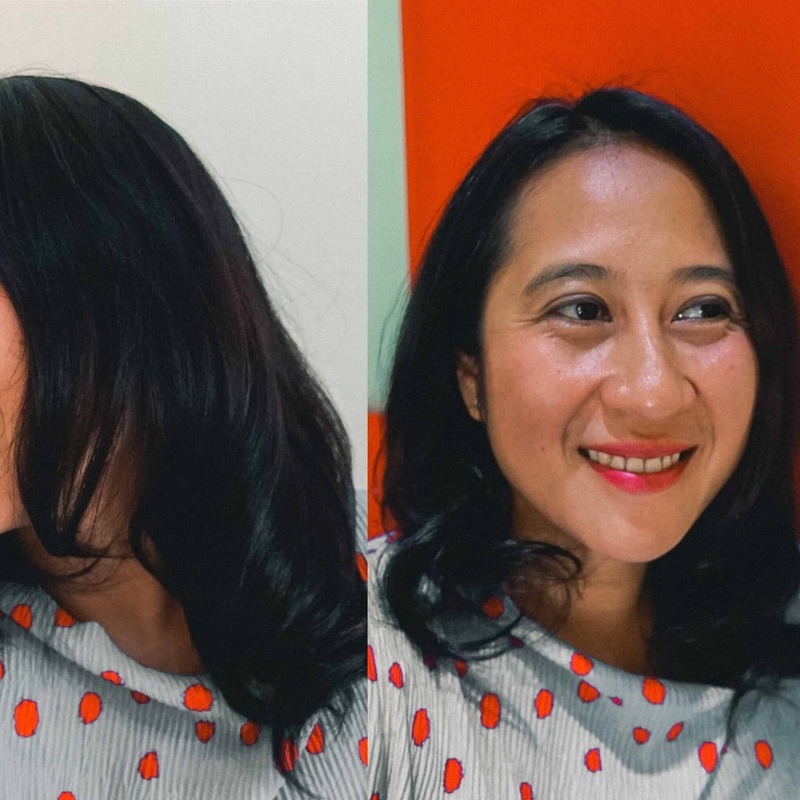 But Mbak Renie recommends I use the Youthmud so that my face will not look pale and tired after going back from a long trip. After face acupressure is done, the next step is applying Glam Glow Soap before using the mask. The soap is to brighten the face. It tastes like Starbucks Spearmint tea and it also smells good. Applying Glam Glow Youthmud Tinglexfoliate mask on my face. Applying Glam Glow Poutmud Fizzy Lip Exfoliator on my lips for lip therapy. The use of the scrub is to remove dead skin cells on my lips. Take a 10-15 minutes nap while waiting for the mask to dry. Clean the lip scrub using a cotton bud and apply lip vitamin. Clean the mask on my face using a soft sponge and a bit of water. Voila. My skin looks bright and younger. Voila. I feel fresh, radiant and rejuvenate. 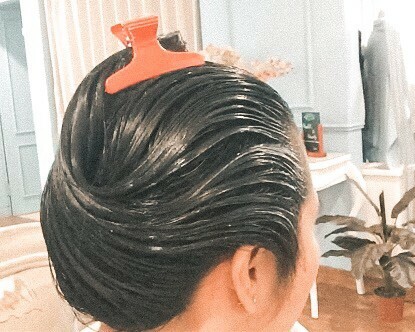 After all, treatment is done, Mbak Cici washes the hair mask from my hair and scalp until clean. Then I got my hair blow out with unfortunately I forgot to ask her name. I really love how she blew my hair. It looks sleek, shiny and the blow out stands for 3 days without using any hairspray. 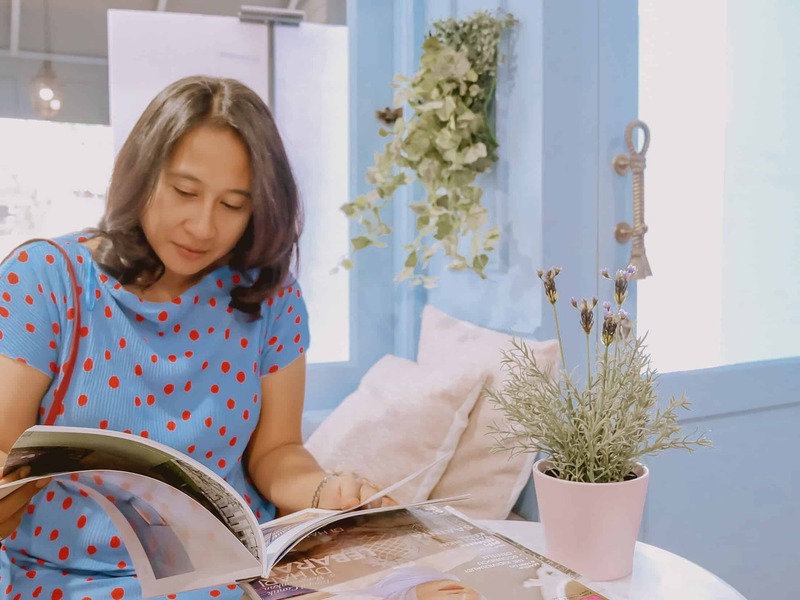 By reading my review, I bet you can guess how I am enjoying my pampering day in Pavilion Beauty Salon Cempaka Putih. I was at the salon from 11 AM to 2 PM. I felt rejuvenate, relax and special coming out from the salon. 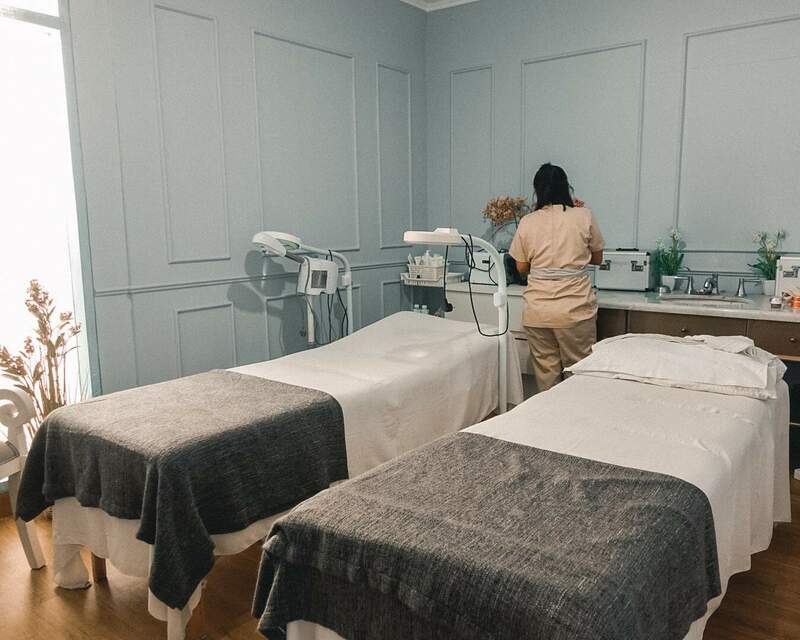 Before planning to go here, its best to look at the treatment menu and make an appointment by phone or via Minutes Salon. For more info and update, please follow Pavilion on Instagram. 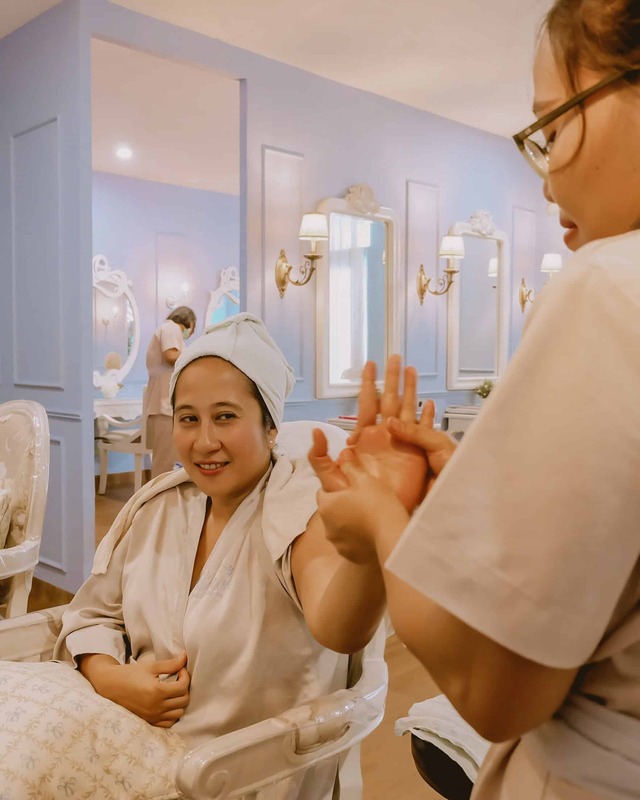 May I know what kind of treatment do you usually love when pampering? 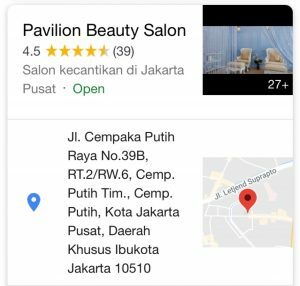 I hope you will have a wonderful experience as I did at Pavilion Beauty Salon Cempaka Putih. 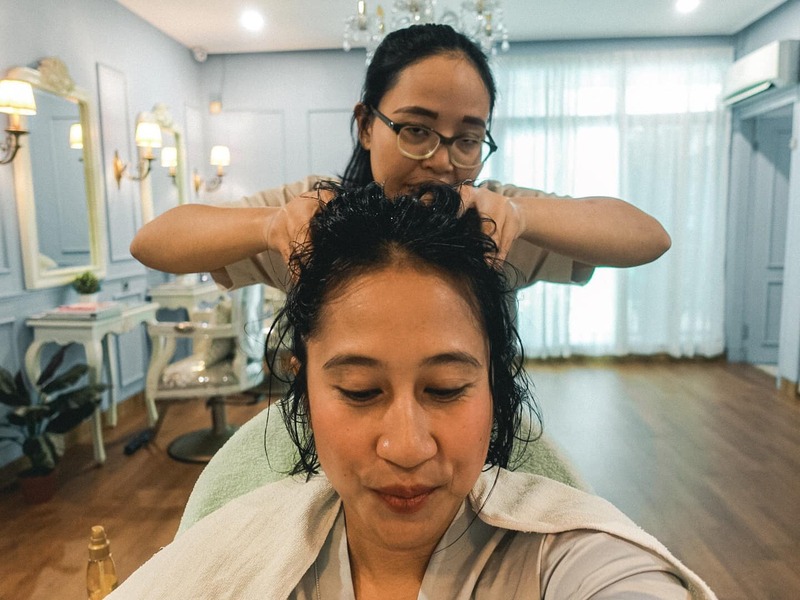 PS: Special thanks to Mbak Renie as the Salon Manager and Miss Dwiannesmita as the Salon Public Relation for your kindness and being such a great host to your customers. Scroll down to Google Translate for language in Bahasa or other languages. 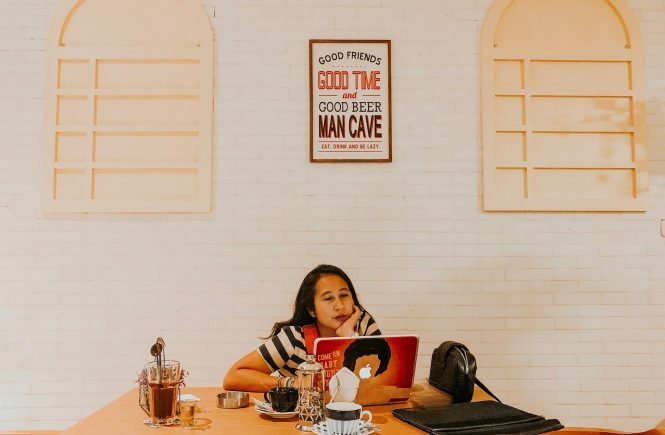 Terima kasih sudah main ke blogku. I really appreciate it. Aku rekomen bangettt kesini. Tempatnya bersih, homey dan menenangkan sekali. Padahal jauh dari rumahku, tapi ku bela-belain kesana. Have a nice productive day Irena. XoXo.